It’s finally here. 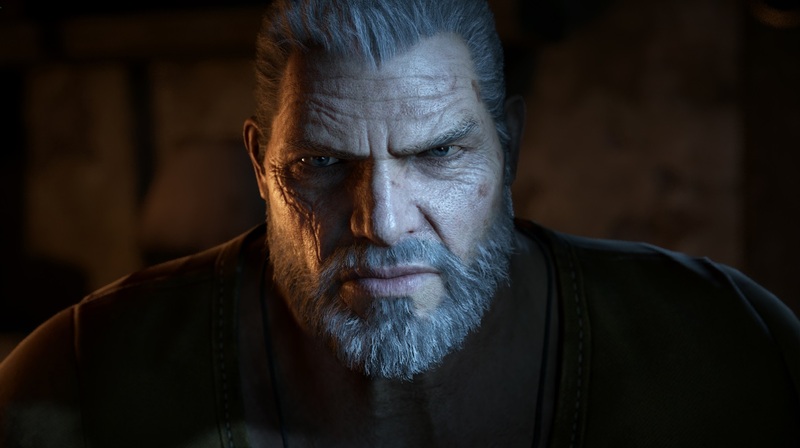 The careful and considerably detailed product of Rod Fergusson and The Coalition is set out to continue the story and great successes of Gears of War 3, while helping us all forget that Gears of War: Judgment ever existed. 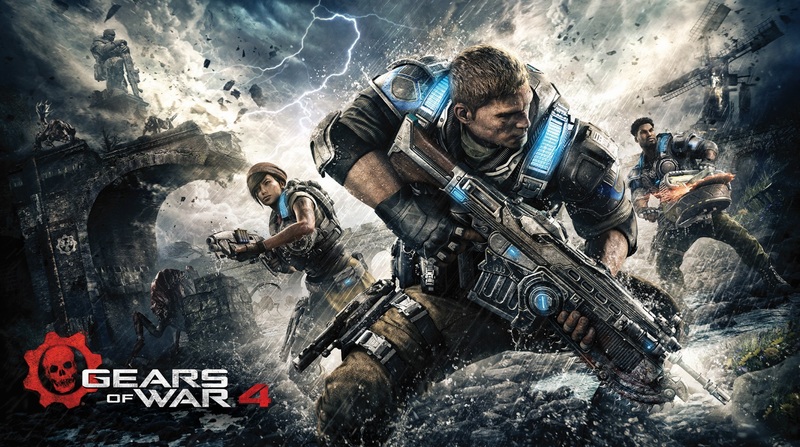 Enter Gears of War 4, the latest addition to the Gears of War franchise, packed with a new story, new gameplay, and stunning, new next-gen graphics. Gears of War: Ultimate Edition had two purposes. One was to give fans something to chew on while they waited for Gears of War 4. The latter was a sandbox for Rod Fergusson and The Coalition in preparation for Gears of War 4. This October, we finally get to look at the final product that is Gears of War 4. The story begins 25 years after the Locust War. We are immediately introduced to COG’s First Minister Jinn as she gives a speech about humanity’s struggles and healings after the war. In an interesting, twist off the bat, you are tossed into some of the preceding battles leading up to the beginning and ending of the Locust War. After the prologue finishes, you are introduced to the game’s protagonist: JD Fenix, Marcus’s son, who is now an ex-COG and anti-government outsider. Along-side fellow former COG, Del, and fellow outsider Kait, JD raids COG settlements for materials to bring back to an Outsider village. As you would expect, you are immediately tossed into conflict against Jinn and her automated forces. Here is where you get some exposition into why the COGS and the Outsiders are in a skirmish with one another in the first place as well as delve into a bit of JD and Del’s backstories. Throughout this conflict, JD and friends encounter a new enemy to humanity in the form of the mysterious Swarm. Begrudgingly, JD and friends set out to find the one man who can help them understand their new enemy: Marcus Fenix. Together with Marcus, they suit up, lock-n-load and head out to take on the Swarm. The story for Gears of War 4 is a fun one. It was a treat to be able to play through some of the “prequel-ish” stages alongside legendary COG officers like Hoffman and Kim. You get the chance to see and experience the events that happen before the Locust War as well as the events that happened alongside the end in Gears of War 3. Immediately you get to see how some of the surviving characters turn out 25 years later, which in itself produced a “Hey! Look at him!” reaction every time. Any Gears of War fan boy will eat this exposition right up and won’t even ask for a glass of water. The main characters were introduced well and didn’t come across as “forced”. JD Fenix is definitely a much lighter character than the grizzly Marcus, being upbeat most of the time and only serious enough when the story needed him to be. Del is pretty much there for comic relief, tossing in one-liners that either stood on their own or merely complemented someone else’s one-liners. Kait had her comedic moments, but was generally more serious than JD and Del. This was mostly was due to the progression of the plot and how it deeply impacted her more than it did the other two. On the whole, the main characters and cameos were quite acceptable. We liked the characters; you enjoyed the banter, and had fun with their interactions. The story itself is direct and well-paced. Giving you only as many cut-scenes as you would want to progress through the story while giving you a break from the action. In a story with a setting this dark and gory, you need some contrast to keep it from being a depressing shooter where you shoot depressing things while saying depressing lines. In line with the standard Gears of War delivery style, you again received a nice blend of serious and angry violence with chuckles along the way. When you are not shooting and grinding up baddies, you are tossed into unique fights and events that take you out of the game’s main third person cover-shooter mold. These events are a welcomed addition to that augments the overall Gears of War gameplay. Overall, the story mode of Gears of War 4 achieved that sort of enjoyable experience that invites you to play it again, if not for more achievements, then at least for gathering all of the collectibles.